Three Labrador Retriever colors—Scoodie, Buzz and Leon, a chocolate Lab, black Lab and a yellow Lab enjoying a nice swim; most Labs love the water. 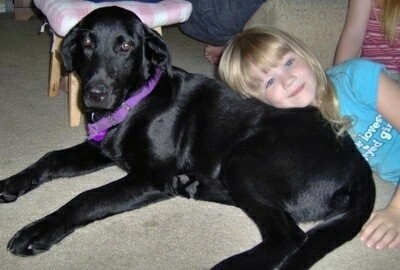 "Our purebred black Lab Shelby came to us as a rescue. 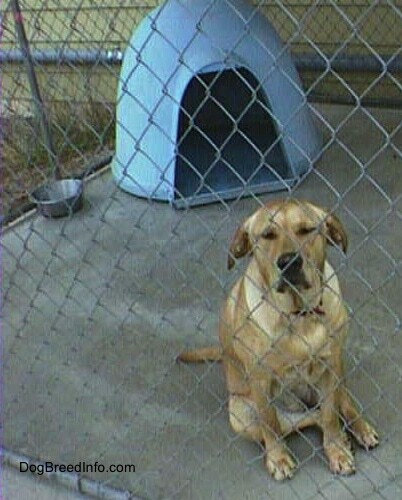 She was frightened of everything and had major behavioral issues. With some time and a lot of love and attention she has become the most fabulous dog anyone could ever want! She was having accidents in the house daily and I realized she was unsure of how to "ask" to go outside. I hung a couple of bells on our back door; every time I opened the door for her I rang the bells. Within two days she was walking up and tapping the bells with her nose to let me know she needed to go out! She has never had an accident since! She also had a terrible problem with chewing (on everything in sight). We invested in TONS on chewy bones for her and made sure we kept one out for her at all times. Every time we caught her with something she shouldn't chew we didn't scold her, we just took it away and gave her the bone instead. In a week we had broken her of chewing on anything she wasn't supposed to. 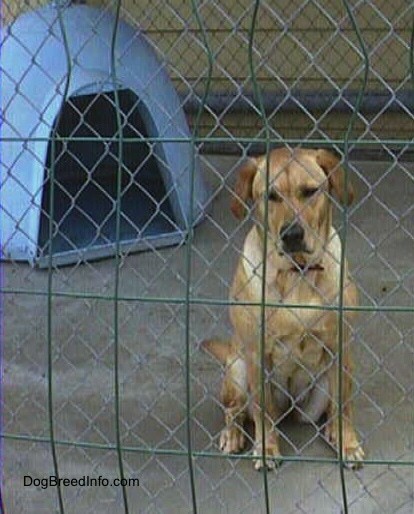 To have a happy Lab, walk them every day and provide lots of socialization. I have four children, ages 3-10 and she just thrives on all the attention! I honestly believe Labs are one of the smartest, most loyal and loving breeds ever! Labs can have lots of problems but they are so smart that they are easy to train and want to please you. If you can give some time and love, you can have a loyal friend for life. What a wonderful breed! We love our Shelby girl, what a wonderful addition to our family!" "We live up in the mountains, so there's plenty of space for us to run around. Some days, we take a 3-minute drive over to the lake and she swims out and fetches the sticks I throw. She also loves to play soccer! "She loves to chase the deer away from our garden, and she's practically invisible in the night. Sometimes I'll step outside and give her a call after the sun has gone down, and won't know she's by me until I hear her massive paws clumping on the ground beside me. "She's super athletic and a few times last summer we hiked up the mountain trails and explored. She loves to go on play dates at various neighbors' houses to play with her brothers and sisters, but loves most of all to go and visit her mom. She sheds a lot, but when I look at my clothes and see the stray black hairs stuck onto the fabric, I think to myself, "I wouldn't trade all the clean laundry in the world for that puppy!"" 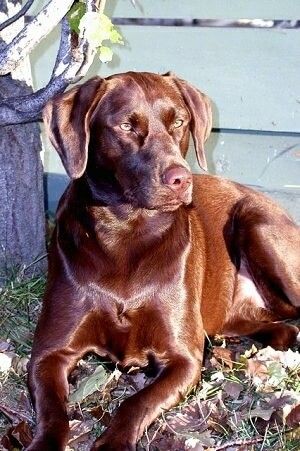 "This is Keesha the female Labrador Retriever puppy at 19 months old. She eats poo and climbs on the bed when she thinks no one is watching. She has pretty puppy dog eyes. And she's the best dog (in my opinion)."